1031 Exchange Master Lease - What is Master Lease in 1031 Exchange? What is a Master Lease? A "Master Lease" can be used as the vehicle in a 1031 Exchange. 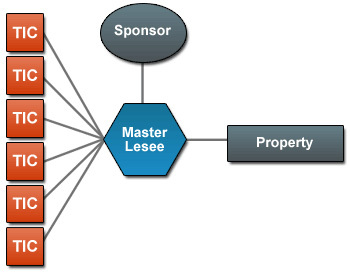 In a "Master Lease", the sponsors create a master lease program. What usually happens is the sponsor or sponsor-affiliated company agrees to pay a lease payment to all of the 1031 exchange investors at a set rate, predetermined by the master lease program. This rate is usually a "promise to pay" by the TIC (Tenant in common) sponsor. The sponsor of the master lease then subleases it to the tenants, in the real estate investment. They will in most cases charge a management fee for their service and then they will collect the rents, handle the day-to-day operations, and handle the lease obligations related to the building or real estate investment. The title holders (owners) of the 1031 exchange property would benefit from a master lease because they would (technically) have only have one tenant (the master lessee or sponsor) to deal with. So even if the tenants of your building leave the property or default it would still be the responsibility of the "master lease" to make the payment, but there is no guarantee that would happen. The master lessee (sponsor) is also responsible for the management, taxes, repairs, assessments and insurance of the property. Sometimes this arrangement is commonly referred to as triple net lease (NNN). Again keep in mind this structure requires the owners of the property to receive the rent due on time and from the master lessee. A Master Lease, Tenants In Common (TIC) property, can be an institutional quality property owned by up to 35 accredited investors and leased to one management company (sponsor) as the single tenant. At closing, a TIC owner will still receive an individual deed for his or her undivided fractional interest in the entire Tenants In Common (TIC) property. In exchange for specified lease payments to the (TIC) owners, the master lessee is responsible for all management and operations, maintenance of the TIC property. The lease payments to TIC owners are on a "triple net" basis with the master lessee responsible for all expenses associated with the property. The master lease will terminate whenever the owner votes to terminate it, or at the "sale" of the real estate property - in its entirety. The amount of votes you have may depend on what percentage of the property you own. How much confidence and security can I place in a master lease or the sponsor? You would only want a lessee with an established history of commercial property experience and the financial ability to make payments even if things go wrong. If they don't have that experience, you may want to consider another master lease or sponsor. In most cases Institutional grade properties attract tenants with a greater financial strength than would be possible, for the individual landlord. Only a licensed person should be consulted when determining if a Master Lease , Tenants In Common, property qualifies for the “Safe Harbor” provisions of a 1031 exchange. 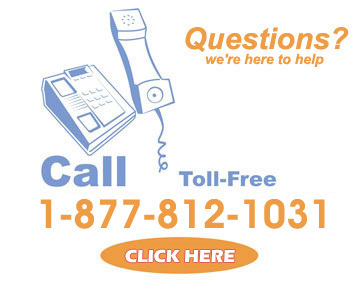 1031 Exchange Made Simple or its affiliates does not provide tax or legal advice. You should always consult with your CPA, TAX attorney or investment consultant before investing in any type of Real Estate.